FedScoop’s Social Studies keeps tabs on the latest lifestyle news and events around the Beltway. 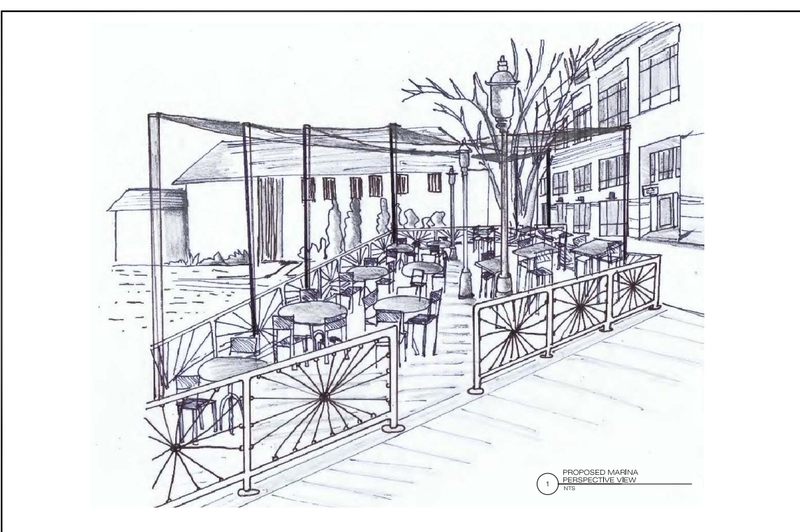 A sketch of the marina dining area outside The Waterfront Market in Old Town Alexandria, which will open later this summer. It’s the opposite of the old horse/water struggle: People visit Old Town Alexandria all the time to dine and drink, but can locals be led to the waterfront? Jody Manor, Alexandria native and owner of Old Town’s popular Bittersweet Cafe, thinks so. That’s why he’s taking the fresh, clever offerings from his King Street bakery and creating a new concept, The Waterfront Market, a 5,000-square foot retail space along the banks of the Potomac. Though Alexandria’s Waterfront Small Area Plan is surrounded by some controversy, Manor is thrilled neighbors tell him they are very excited to welcome his new business. “We intend to be a community place for both residents and visitors,” Manor says. Designed to resemble an old-fashioned ship’s store, Waterfront Market will combine a quick service restaurant, retail market and a causal, outdoor marina dining area. Manor hopes people will shop the market for takeaway breakfasts, lunches and dinners, or enjoy outdoor seating for a meal overlooking the marina. With a full service bakery, the Market menu will be reminiscent of Bittersweet’s, with new dishes prepared each day. Guests can also shop for local beers and wines. Can’t arrive by boat? Don’t want to drive in from the city? A free trolley to and from the King Street Metro delivers visitors to the waterfront area. The Waterfront Market is set to open later this summer.